It was a lazy Saturday afternoon, when my customary afternoon siesta was interrupted by a phone call from my friend. Struggling to shrug away the sleep from my eyes, I picked up the phone. 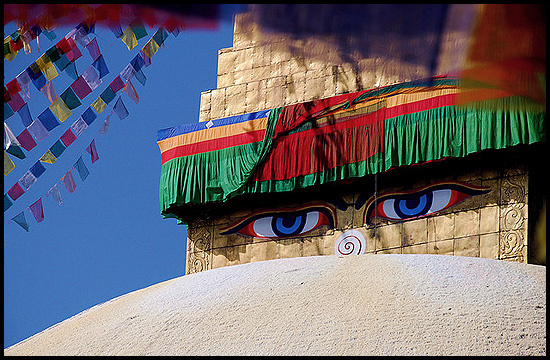 I was soon jolted to full consciousness when I heard his words: ” I am planning a trip to Nepal. Wanna join in?”. Nepal? Of all the places, Nepal? – I thought to myself. 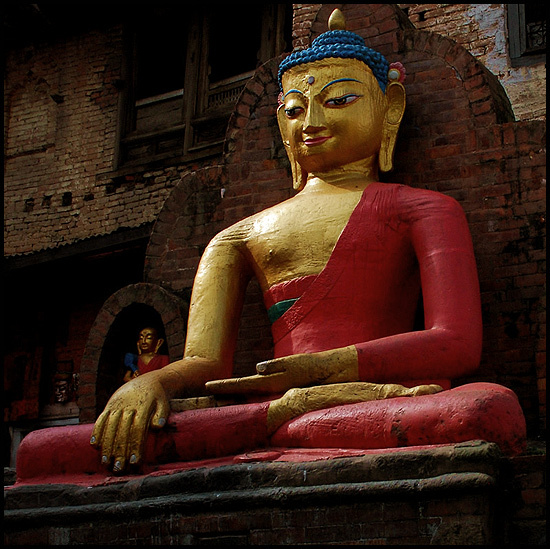 I was planning on a vacation, but Nepal was the last holiday destination I would have thought of – given my idea of vacation usually is lying around in some exotic location engulfing myself in luxury. 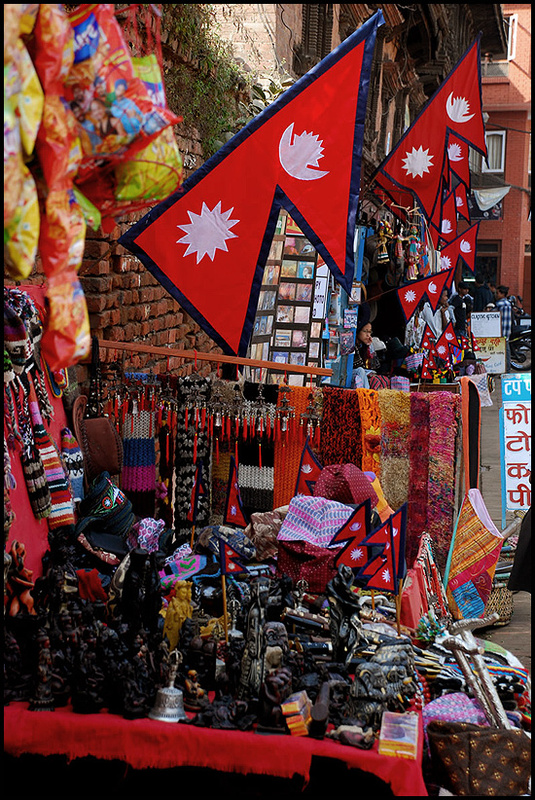 What the heck – i thought, I would never see Nepal in my life if I don’t go now. I agreed. The plan was on. I was going to Nepal! With just one month to go, the plans were made in haste. Druk Air (Bhutan air) took us to Nepal. The sight of Himalayan incisors peeping above the clouds is goose-bumps material, and you are suddenly filled with a sense of anticipation, humility and various other feelings that cant be described. Coming face-to-face with the most formidable mountain range is sure to evoke emotions in you that you’ve never had. We touched down at Kathmandu and was soon out of the airport after the immigration formalities, to be surrounded by porters who helped to transport our baggage to the waiting taxi a few feet away for a ‘nominal’ tip of INR 100 only. As we soon found out, tipping would be one of the biggest expense item one has to budget for if one intends to tour Nepal. We drove straight to Nagarkot – a hill top resort village that offers stunning sun rise views – and checked into Club Himalaya. We explored the surroundings a bit that day, had coffee at Berghouse cafe, and went back to the hotel once the village closed shops (around 8 PM). The next day we hiked to Changu Narayan temple – a very refreshing 4 hour walk from our hotel cutting across various communities settled along the valley. Leaving aside the gory details (like the food we had – which by the way was mostly Momos, time we went to bed etc) this is all we did at Nagarkot! So far, so good! The following morning, we checked out of Club Himalaya to catch a flight to Pokhara. Carriers: Budha air. Pokhara greeted us with a slight drizzle that we were not equipped to handle. 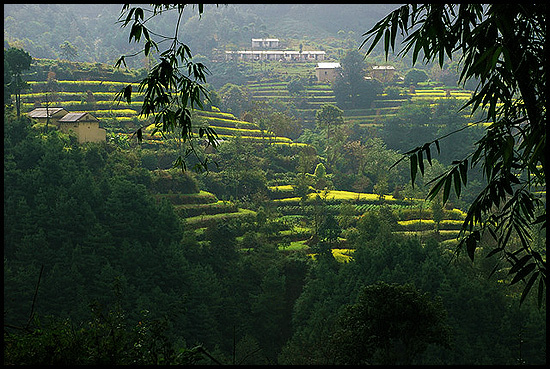 Extremely scenic, this place is situated between a very calm ‘Phewa Tal’ lake and the snow capped Mt. Machhapuchhare (a Himalayan Peak – shaped like a Fish tail, and hence the name). Fish tail lodge would be our home for the next 2 days. Getting to fish tail lodge was itself an experience – a rope drawn pontoon ferried people across the lake to this beatiful cottage hotel. Getting around Pokhara is easy – one just needs to follow the lake shore. The shore is lined with shops selling CDs, cashmere, prayer flags, khukris and other Nepali artefacts, playing ‘Om Mani Padme Hum’ (Buddhist chants) throughout the day. To complete the setting, I would suggest you pick up any of the Everest expedition stories for your night reading. This surely will transport you to different mental realm altogether (I picked up ‘Into Thin Air’ by Jon Krakeur). Dinner at Lhasa – a hotel that serves Tibetan food. Early next morning we drove to Sarangkot to catch a glimpse of the rising sun, but was deprived of the pleasure thanks to a very cloudy morning. Our tour guide – Tenzen, a chirpy stockily built bloke took us around on a 5 point trip – Devi’s falls, Seti gorge, Mahendra cave, Vidya darshini temple and the old houses. We rented bikes in the evening and went around that evening. Tea and chocolate cakes from the famous German bakery raised our spirits a great deal, and the night was spent shopping. 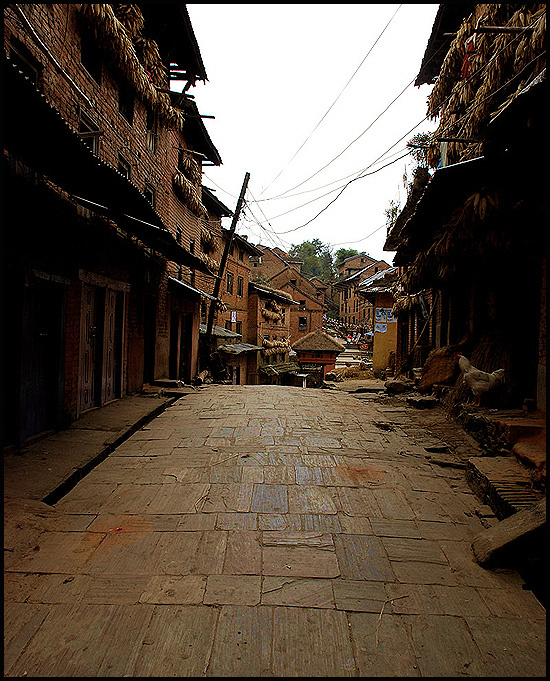 Most bikes and cars in Nepal are imports from neighboring countries. Bajaj Pulsar is a very sought after bike over there, and rentals for this is usually higher than the others.Apparently the prices of the bikes and cars are almost double that in India ‘cos of import duties. So, even a Maruti 800 is priced pretty high in Nepal.Another thing we did at Pokhara was a trek to Peace Pagoda – built by Japanese monks to promote world peace. (Couch potato warning: This short steep trek can create some uneasiness in you. Symptoms include breathlessness and a general inability to climb.). Well, Kathmandu was like getting back to reality – the hustle and bustle, the mad rush to catch up with a crazy life, the dust et al. 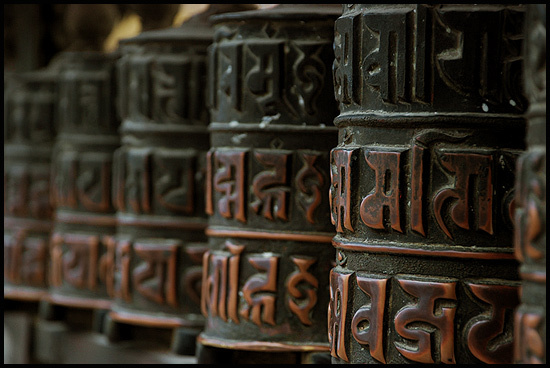 It was a mixed experience for us here – a mix of spirituality and pleasures of modern life. While visits to Swayambunath, Pasupathinath and Bodhnath brought us peace, shopping at Thamel and visits to casinos reminded us that we still are pretty ordinary humans going after material pleasures of life. And then… the flight back to India. Very quiet. With each one thinking about going back to work the next day. 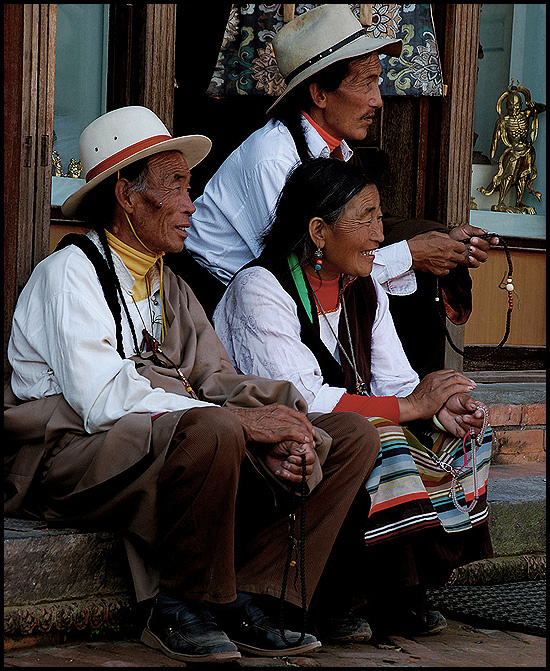 Shopping – What we bought: Tibetan stuff (hand held Prayer wheels etc), Shawls, CDs(!). 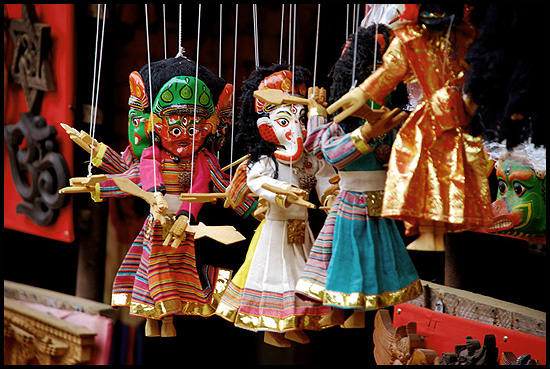 Shopping – What we did not buy: Khukri (Gorkha dagger), Masks, Thangka paintings. Food – What we liked best: Fried Momos (kinda like the samosas we get in India), Food at Lhasa restaurant, Pokhara. Food – What we did not like: Tibetan drink (I forget the name. A hot, starchy liquid). Sights – What we liked: Everything! 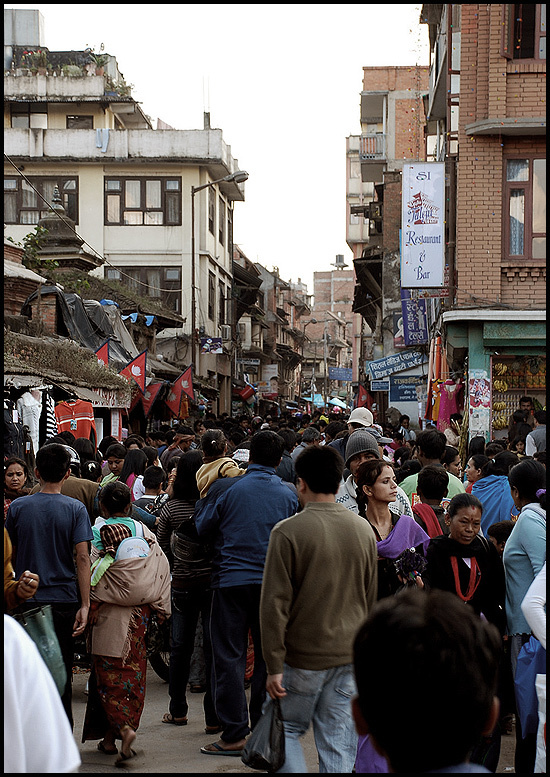 Sights – What sucked: Crowded streets of Kathmandu. Leaving you with some pictures I took. Tell me you like them. 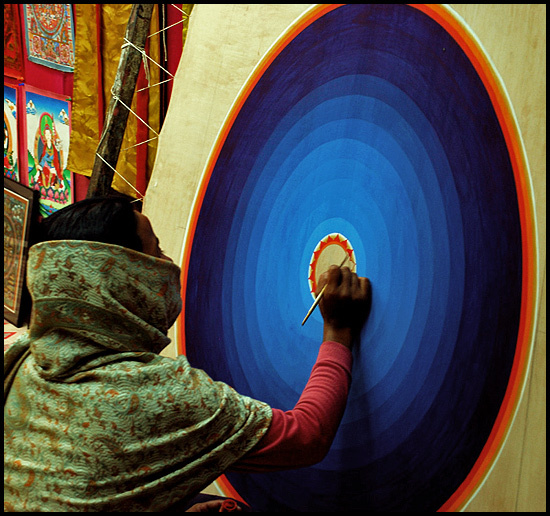 Thangka Painting in the works. 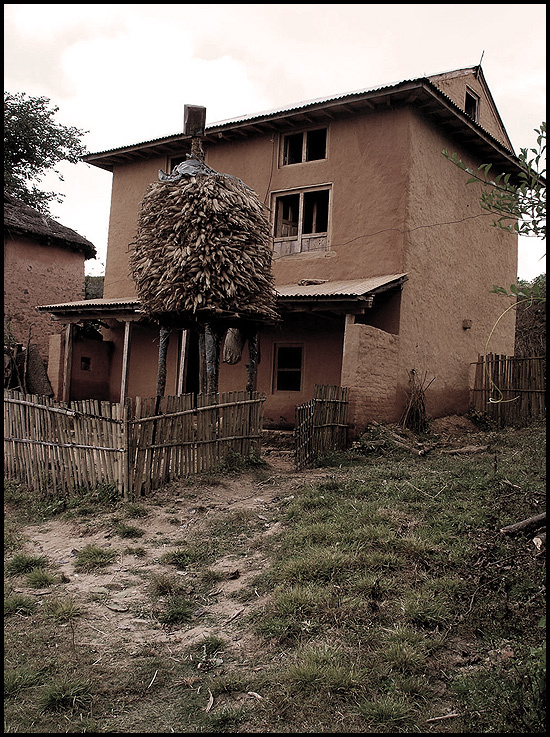 A house by the hill.